Do you intend to buy a property in Spain this year? 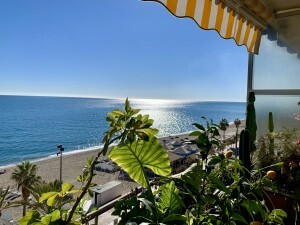 If so, whether you intend to buy a 2-bedroom penthouse with a terrace in Mijas Costa, Málaga for €205,000, or a 4-bedroom duplex in Ador, Valencia close to the beach for €154,000, you'll want the best exchange rate. After all, if the pound is strong, you'll receive more euros in your Spanish bank account when you transfer money, to buy your ideal Spanish property! With this in mind, what's in store for the exchange rate this year, and how can this benefit you when you buy a fantastic property in Spain? Well, let's take a look. The good news if you plan to buy a Spanish property this year is that sterling may well rise versus the euro. Why? Well, because the UK economy is moving full-steam ahead. For instance, just this week we learnt that UK unemployment fell -0.1% in March, to just 4.6%, its lowest since the mid-1970s. What's more, retail sales in the UK rose +2.3% in April, well above forecasts for +1.0%. This tells us that UK GDP is rising quickly, and could grow a solid +0.6% between April and June this year. 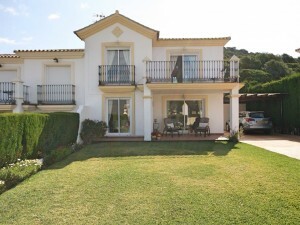 In turn, this may lift the pound, benefiting your when you buy your Spanish property! Moreover, your dream Spanish property could also become more affordable for you in 2017, because the euro looks set to weaken. The common currency may decline, because just recently the president of the European Central Bank Mario Draghi said that he's unlikely to hike interest rates in the near future. To be specific, Mr. Draghi told the Dutch parliament last week that "it is too early to declare success" against low inflation in the Eurozone. This tells us that the Eurozone still needs monetary support, weighing on the euro, and cutting the cost of Spanish property for you! What's more, the euro could also lose out later in 2017, making Spanish property less costly for you, because new French president Emmanuel Macron may lack parliamentary support. To be specific, Mr. Macron's "En Marche!" political party is less than a year old, and currently has no MPs in France's National Assembly. With this in mind, Mr. Macron may struggle to reform France's economy, including liberalising France's labour market, and tackling inequality. In turn, if Mr. Macron disappoints, this may drag down the euro, cutting the cost of buying your dream Spanish home! With all this in mind, 2017 looks like the ideal time to buy a property in Spain. Make the most of it! 0 responses to "Fantastic Time to Buy Spanish Property"